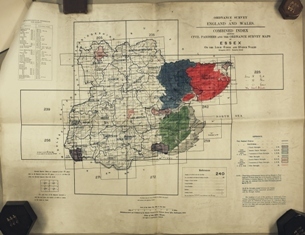 A member of Essex Record Office, exhibiting a World War 1 large Essex county map, explained the government plan created in 1915 to evacuate the civilian population from Essex to Oxfordshire. The map had several broad, white arrows painted in a west-east alignment running from the coast and pointing towards Oxfordshire. These were the intended routes for fleeing inhabitants. 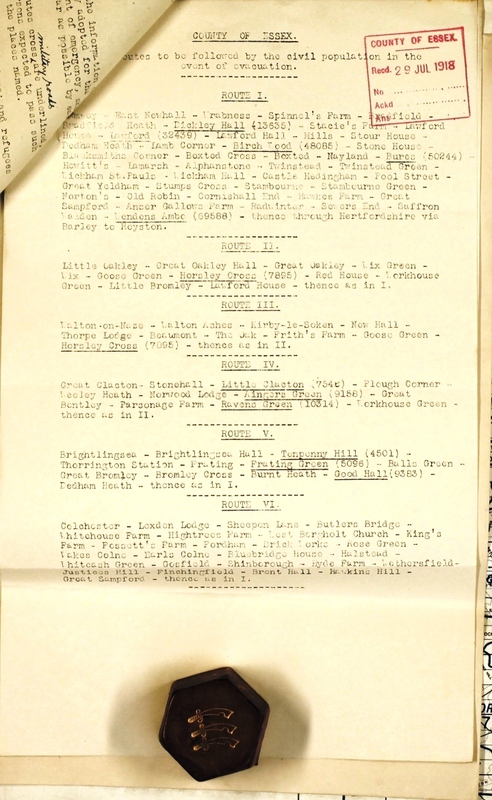 I'd never heard of this plan but a quick search of the Essex County Record Office database 'SEAX' produced more than a dozen files. A year later Germany bloodied our noses at the battle of Jutland where we had a 3rd more ships but managed to lose 14 ships against 11 and double the enemy's tonnage and casualties. At night, Germany sailed through our fleet and went home, never to seriously threaten us with surface vessels again. She was still considered strong enough to pose a threat which kept the British fleet in the North Sea for the duration. 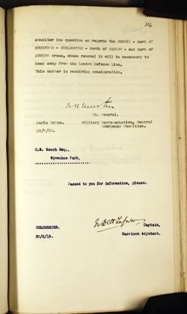 In the absence of evidential intelligence (we had already cracked German naval cyphers) was it likely that the Germans would attempt an invasion on the east coast when we had some 150 warships between them and our beaches? 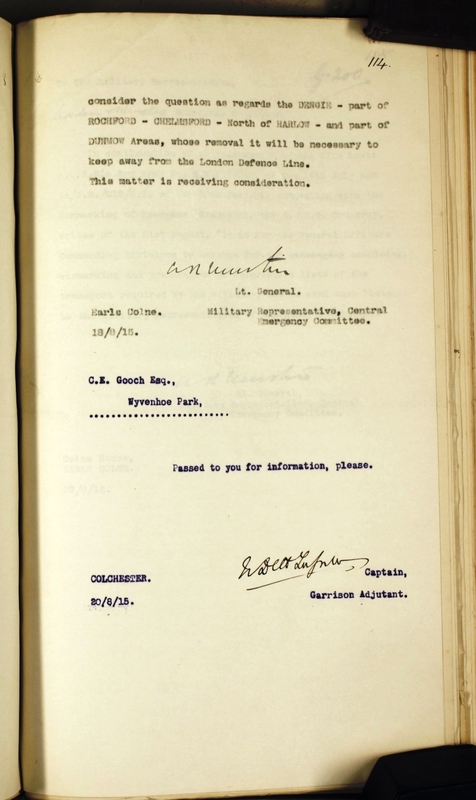 Paper B (evac 06) clearly stated that 'there was no immediate apprehension' and 'considered it unlikely in view of our naval supremacy'. 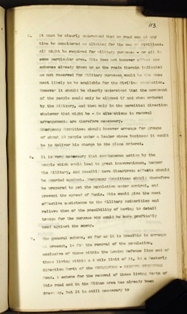 The series of memorandums makes it clear that the measures contained within were for the guidance of local emergency committees and therefore ancillary to military preparations. 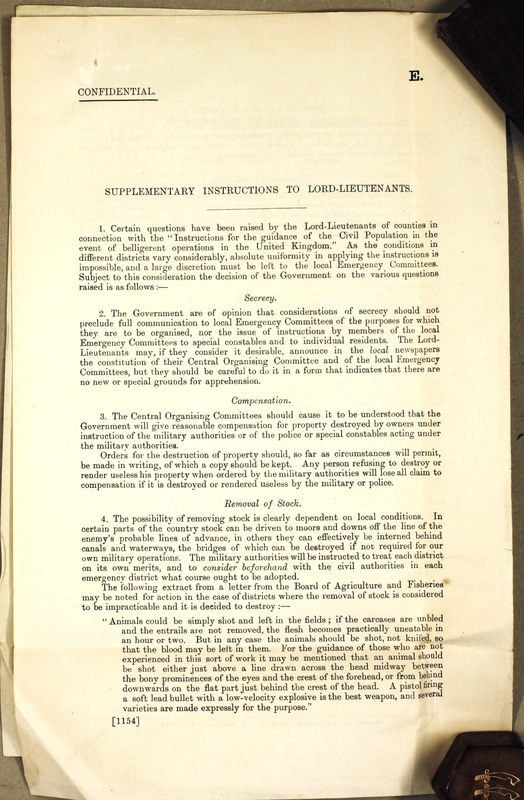 The Government decided that in the event of a German invasion (unlikely by 1915) AND that the civilian population was intent on flight, there should be a structural pyramid led by Central Organising Committee to oversee numerous Local Emergency Committees. In 1915 the Earl of Warwick, Lord Lieutenant of Essex and other county lieutenants attended a meeting in London with Arthur Balfour, former Prime Minster (1902-1905), but in 1915 he was Foreign Secretary. 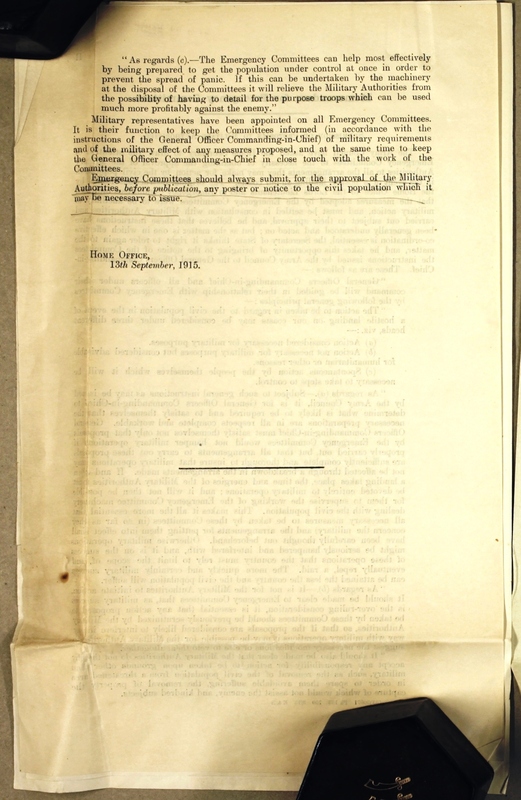 At this meeting Balfour agreed that the Petty Sessional Divisions (the area of a magistrate's jurisdiction) would form the most satisfactory areas for the Local Emergency Committees. The committee was an organising advisory committee; the actual executive orders would be given, either direct by a military officer or through the chief constable or divisional superintendents or inspectors. 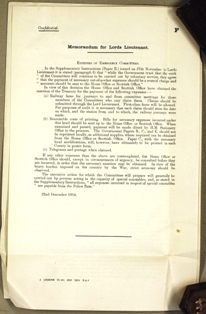 Generally, the chairman of the committee would be the special constable commander. Members of the committee would be group leaders. Each group leader would be allocated a district within the area, and be responsible for the special constables in the district to be efficient. 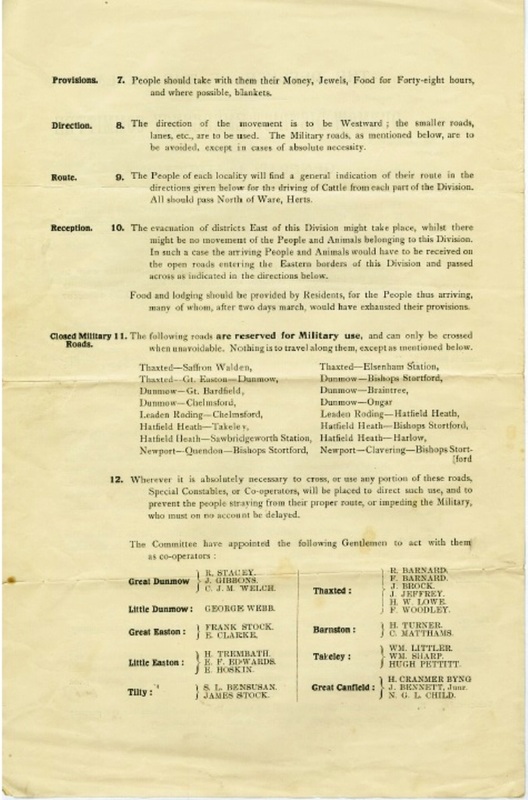 The committee was to organise a Cycle Despatch Corps to be attached to the group leaders of the special constables for the transmission of orders, so that each group leader would have cyclists or mounted messengers to distribute messages. 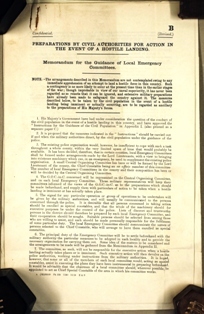 Another responsibility was to advise the Central Organising Committee of suitable collecting areas for transport, animals and light carts; the areas should usually be westward, and approached by minor roads (thus leaving main roads free for military use), and about 15-20 miles from the coast. Bicycle shops and garages were to be cleared. Arrangements were to be made for the removal or destruction of stores of petrol and rubber tyres, boats, barges and rafts as indicated by the Central Organising committee. 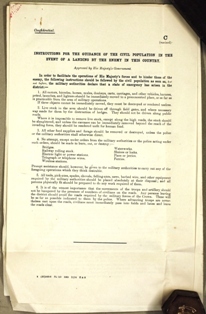 The public were warned that no belligerent operations were to be carried out by any corps not possessing uniforms so as to minimise enemy retribution. The committee's main task was to do everything possible to keep the inhabitants from encumbering the roads required by the military authorities and to distribute any instructions to them which may be issued by the government. Initially each committee would have an attached military advisor to act as an interface with the military. The former knew their various supporting roles and the latter needed unimpeded overall control. 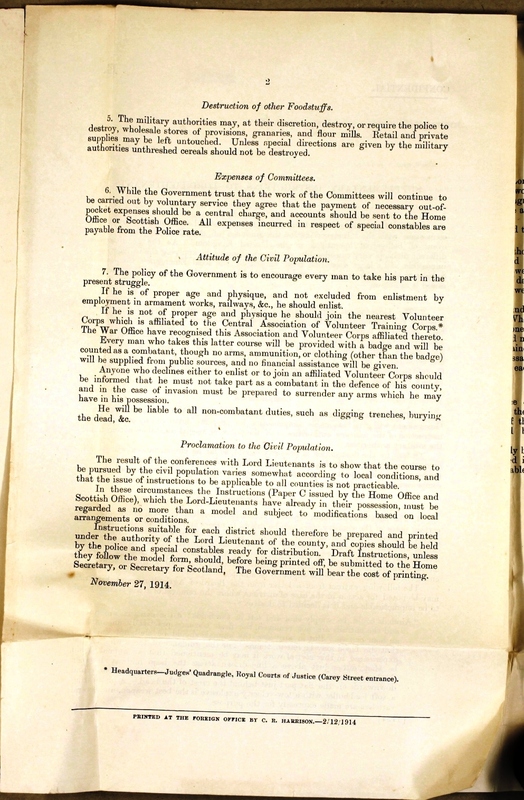 The committee was to be representative of the area, but it was even more important that it should be small, and consist of active men; it should not exceed seven in number; local people would select the chairman but only after consulting the COC. Eventually cascaded logistics-training and appointed special constables would assume greater local responsibilities. 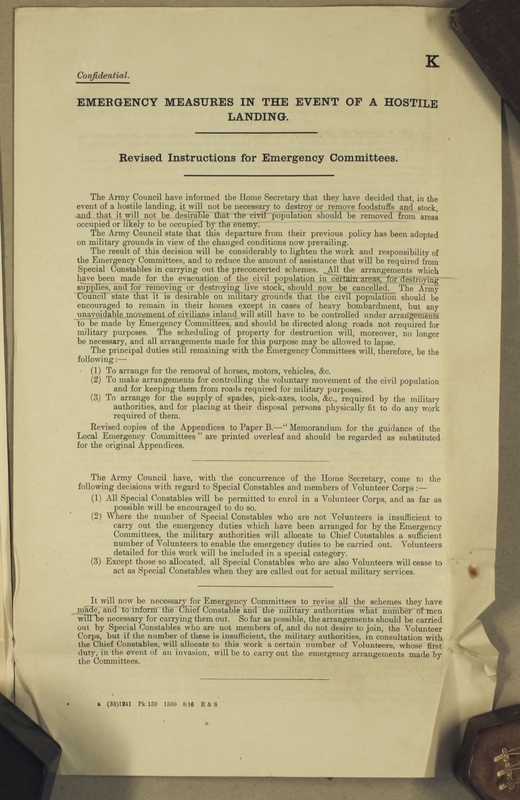 The committees were given revised instructions as to their responsibilities in Paper C Appendix 1 (see evac 7). 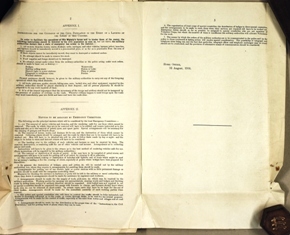 The degree of secrecy was a concern to the committees and complaints were made to the Home Office which resulted in agreement that actually, secrecy was likely to hinder any evacuation if the public were oblivious to intended, rehearsed arrangements. No guessing required to realise in whose hands YOUR future lay. Having just emerged from a post-feudal society, nepotism and sycophancy would determine the make-up of these self-appointed, largely land-owning committees. 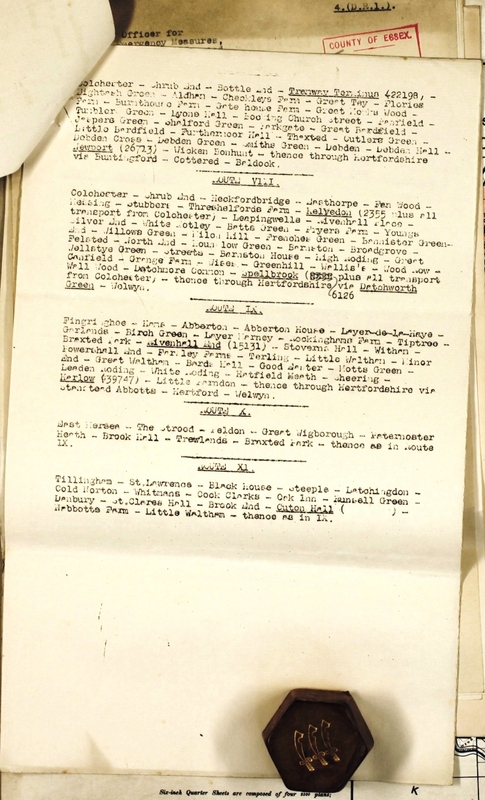 That committee members were allowed to travel 1st class tells you instantly which part of society they were from (see evac 11). Women, but only those over 30 years of age, wouldn't get any voting rights until after the war in 1918. 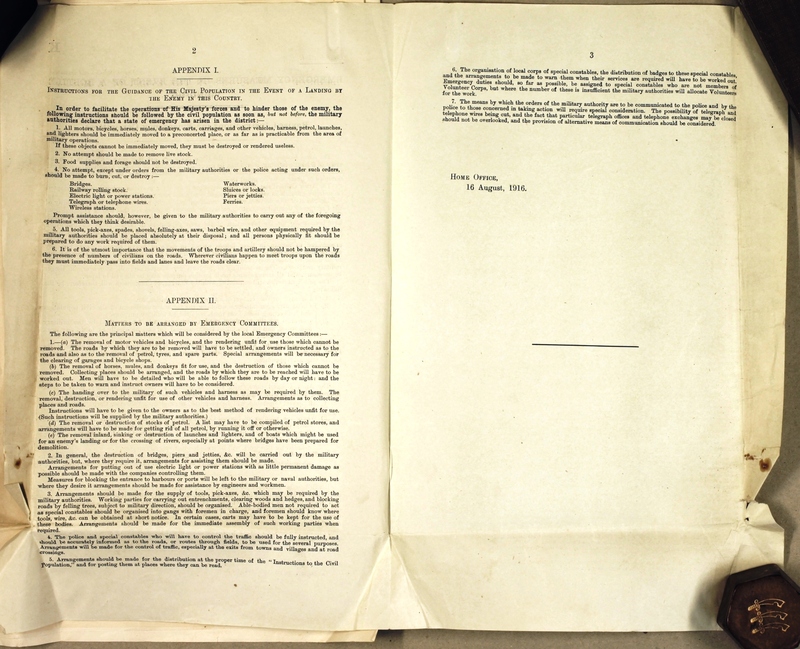 It would take The Representation of the People Act 1918 to give voting rights to all men aged over 21 but even they had to be householders. 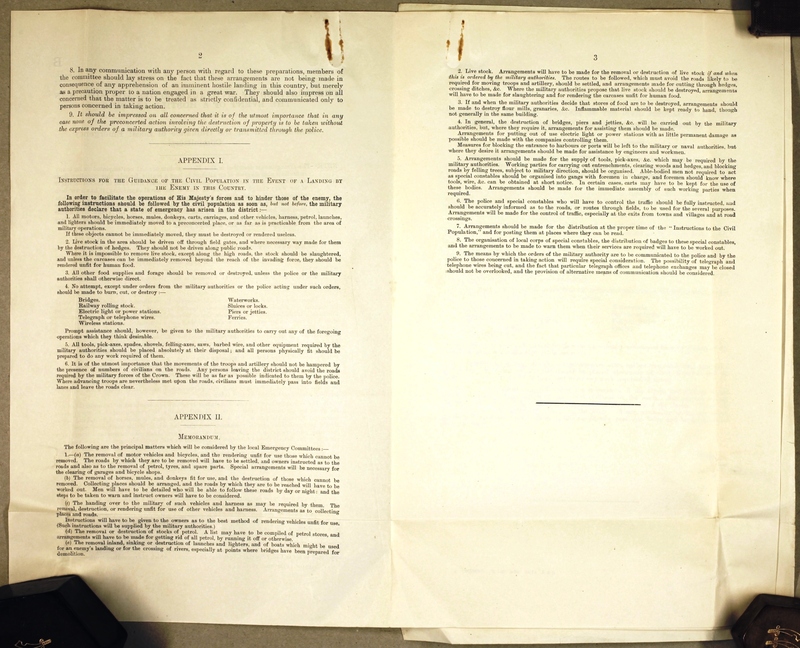 Not until 1928 would all men aged over 18, and not just householders, be given unfettered voting rights. You could have fought and survived at the Somme but still not have a vote. Even worse-off were the sick and infirm - civil hospitals and infirmaries were not to be evacuated. These buildings would have a black & white sign erected over them. 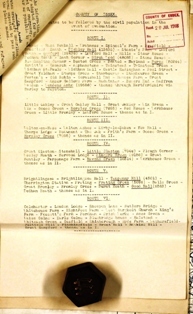 According to Kelly's Directories of Essex, 1878-1937, the Walden Petty Sessional Division comprised the following parishes for this period: Arkesden, Ashdon, Bartlow, Hamlet, Berden, Birchanger, Great Chesterford, Little Chesterford, Chrishall, Clavering, Debden, Elmdon, Elsenham, Farnham, Hadstock, Henham, Langley, Littlebury, Manuden, Newport, Quendon, Radwinter, Rickling, Stansted Mountfitchet, Strethall, Ugley, Wendens Ambo, Wendon Lofts, Wicken Bonhunt, Widdington and Wimbish, Great Chishall. An east coast invasion was expected to cause some 90% of the Essex population to insist on finding safety. A civilian stampede would hinder our army's attempt to counter-attack since there were few east-west main roads across the county. Historically what few main or arterial roads there were had been built by the Romans and these radiated northwards out of London - the A10, A11 and A12. East Anglia still had a patchwork quilt of feudal, angled and snaking lanes edging the communal fields; three strips of land to each man, that had been ploughed since Saxon times. A public control plan had to be devised. One of the first decisions was to identify the geographical boundaries of the evacuation area so that an infrastructure could be accurately designed. 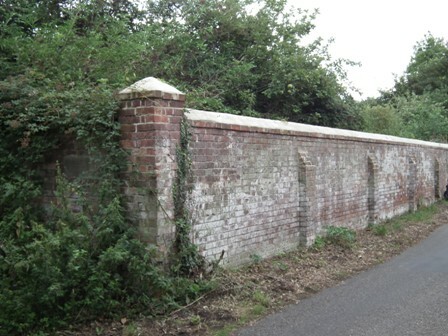 Food depots would be established at Alphastone north of Halstead, Saffron Walden and Chelmsford (evac 16). 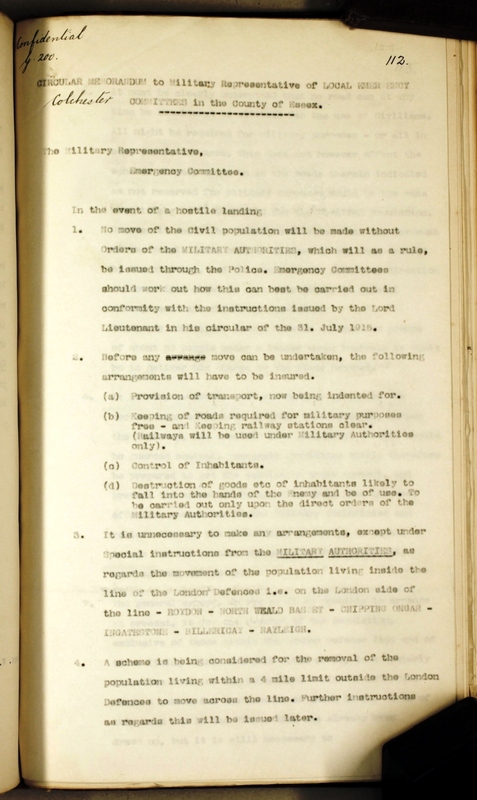 It was deemed 'unnecessary' to make any arrangements, except under special instructions from military authorities, as regards the movement of the population living inside the line of the London Defences (see evac 02) i.e. on the London side of the line - Roydon - North Weald Basset - Chipping Ongar - Ingatestone - Billericay - Rayleigh (largely south of the old A414 road). Under consideration was the removal of the population living within a 4 mile limit outside the London Defences to move across the line. Come an invasion it's not quite clear which way, into Hell or into Harlow. The following instruction seems to say that they would be forced into Hell. The general scheme was for the removal of the population, exclusive of those within the London Defence line and of those living within a 4 mile radius of it, in a westerly direction north of the Chelmsford - Bishops Stortford road, the old A120, the Stane Street built by the Romans (see evac 03). A plan was drawn up for those living north of this road and in the Witham area but it was still necessary to consider the question of the Dengie peninsular - part of Rochford - Chelmsford - north of Harlow - and part of Dunmow areas (see evac 04), whose removal it will be necessary to keep away from the London Defence Line. Was this because it would have been mined ? 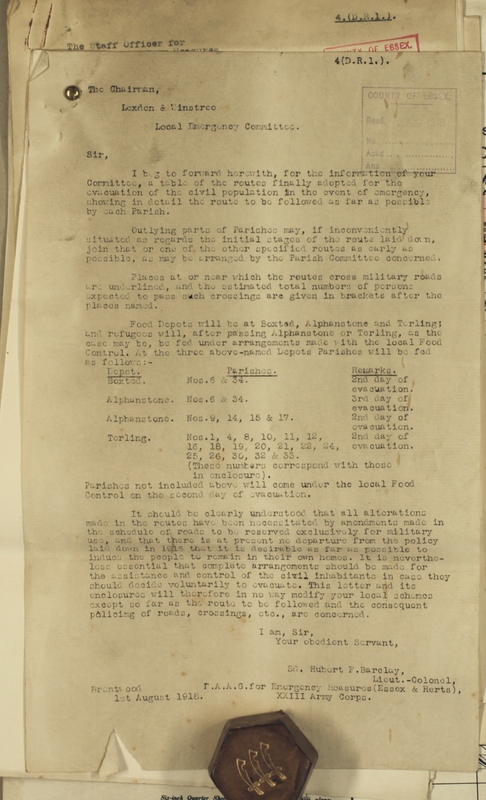 Residents were to take only enough food (biscuits and coca) for 2-3 days, jewellery and money. Risking lives to get the liberty ships loaded with munitions and oil from America was essential later in WW2 but importing cocoa ? Later in the century, the US sent planeloads of ice-cream into Vietnam during their fight against the Viet Cong. Back in Essex alcohol was to be destroyed. Drunken German troops were reported to have committed atrocities in Belgium and France having been fuelled by plundered drink. 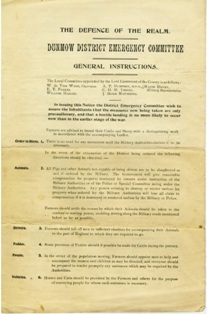 As the war progressed this instruction was rescinded as news of our improvement in the field was promptly announced. This would have been good news to Warwick, our Lord Lieutenant who, on one of the earliest days of this plan, announced he 'wouldn't be available tomorrow, I'm shooting with....' Meanwhile his wife 'Daisy', Countess of Warwick, a staunch royalist, might be entertaining the King. 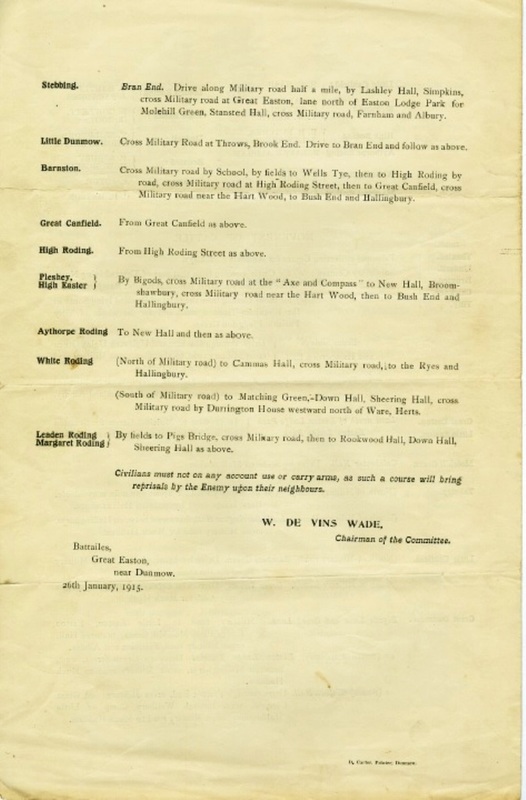 Committees designated roads as 'military' or 'minor' although in a highly-mobile conflict this had little meaning. After all, the hollow-ways of Europe were to see some of the fiercest tank battles of both world wars. 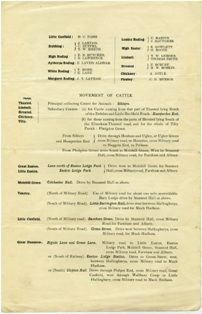 The records also hint at some confusing instructions regarding livestock. Some said that herded animals could be driven west on minor roads. Another said that gaps in hedges were to be made and herds driven across fields (see evac 08). Non-herded livestock such as pigs were to be destroyed locally and made unfit for human consumption. At the outset the mantra was that all items, crops and livestock not removed where to be destroyed. It was believed that a German landing would result in women and children being driven ahead as a human shield as had reportedly happened in Belgium and France. Furthermore you couldn't have the entire county population fleeing in all directions, the fields would have been already full of headless chickens. The population was to be induced to stay calm and remain at home. The public were not to be allowed inside the 4 mile radius London defence line. 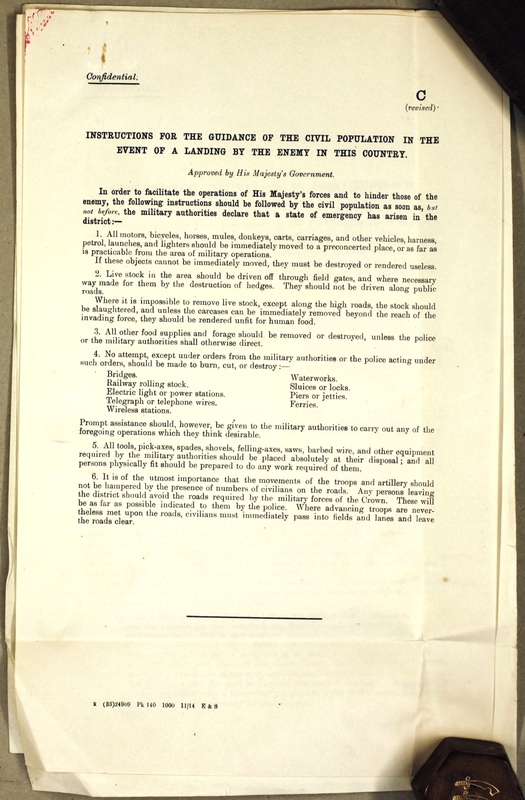 All trains would be commandeered by the military and all wounded soldiers were to be evacuated from the county by train from Colchester or Chelmsford. It would be wrong to think that the plan was solely a reaction by bureaucrats and 'county worthies' to be seen as intractable wielders of power. Paper E (see evac 09 and evac 10) demonstrated publicly that instructions were not rigid, that local conditions had to be considered. Furthermore, the public had to be kept informed and reassured that there was no special reason for this plan, it was a 'just-in-case' precaution. 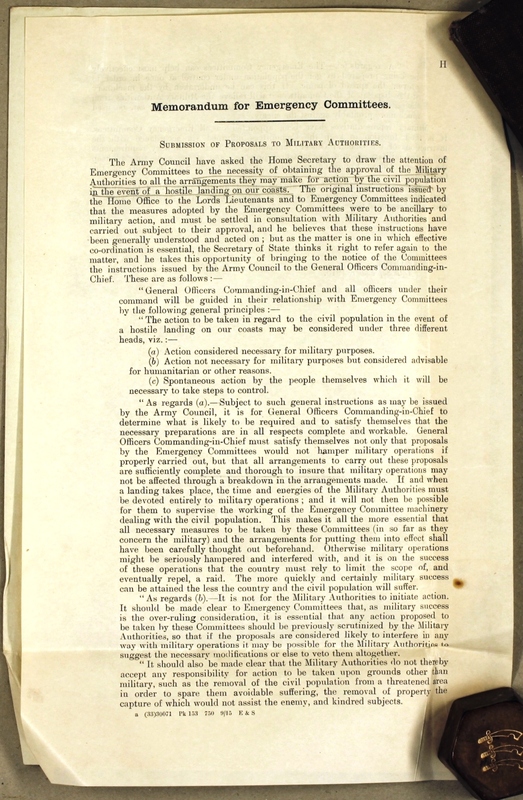 However at some point, but certainly by 13th Sept. 1915, the military had to assert its authority in making it especially clear that any actions being considered by local emergency committees must first be scrutinised by military authorities and that the military would take no responsibility for civil evacuation. In other words - 'we're here to fight, you're here to feed, not impede' (see evac 12 and evac 13). As yet I haven't got a copy of the precise instructions to Henham residents but those for Witham and Dunmow are reproduced below and give some details applicable to most villages. 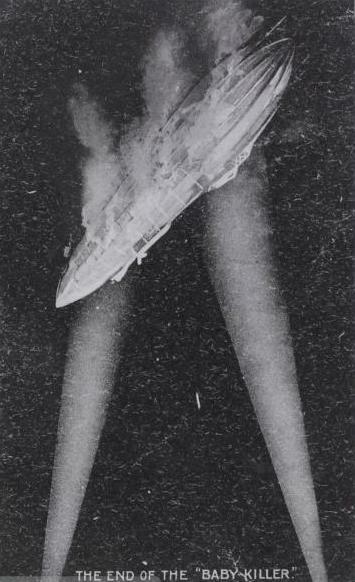 An enemy invasion was certain to be accompanied by aerial attacks (the first in history), particularly by the dreaded 'baby-killer' - the zeppelin airship. A fleeing, exposed horde in open fields would have been a 'turkey shoot' for the zeppelins. Fortunately a few airships had been shot down near the coast and even inland and so they were never a threat as a massed fleet. They were never a serious tactical threat unlike the doodle-bugs and flying rockets, the V1 and V2s, towards the end of WW2. One of these nearly got me save for my mother throwing herself across my bed as the roof came crashing down through the ceiling. I remember the late Jack Hayden telling the tale about his father riding on horseback at night along Sparley Lane between Henham and Widdington. He had a large piece of 'freshly-sourced' meat slung behind him across the horse's back. Hearing a sudden whooshing sound, the horse reared-up throwing the meat into the darkness and the rider to the ground. It was a zeppelin passing low overhead. The journey to Oxfordshire. Telephones and telegraph would be controlled by the military and almost no public transport nor electronic communications would be available. Enemy damage could affect domestic power lines whilst the military might close selected power stations. Communications - as you sauntered down these lanes with no knowledge of your surroundings and no phones, no power, no satnav and suddenly you might meet with a rare form of communication. 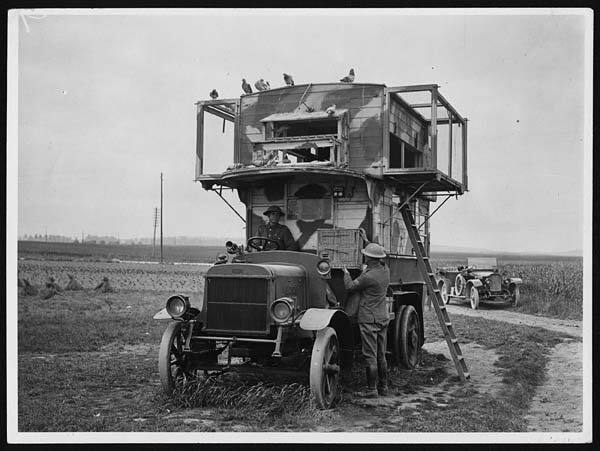 Homing pigeons (see mobile pigeon loft image below). 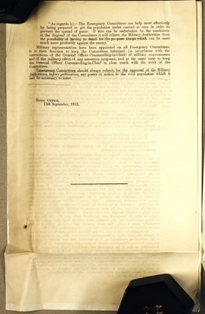 In 1916 the Assistant Chief Constable in Chelmsford wrote that should a message written on a government form be found on any dead, wounded or stray pigeon that comes into the hands of the police, the ring number and place found should be entered on the message and handed in to the nearest telegraph office and sent to ‘Intelligence London’. 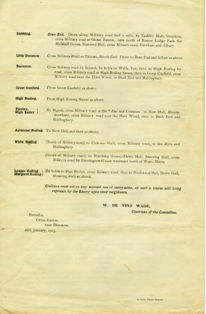 The message itself was to be sent to The Officer In Charge, Home Office Pigeon Service, Horse Guards, SW. The bird should also be sent to the same address for disposal. 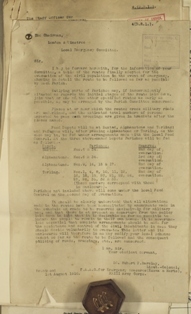 Their value can be seen below in evac 05 where a special instruction from the Assistant Chief Constable dated 17th Sept 1917 drew attention to a notice issued by the National Homing Union which was to be sent to all special constables and then cascaded to the public. 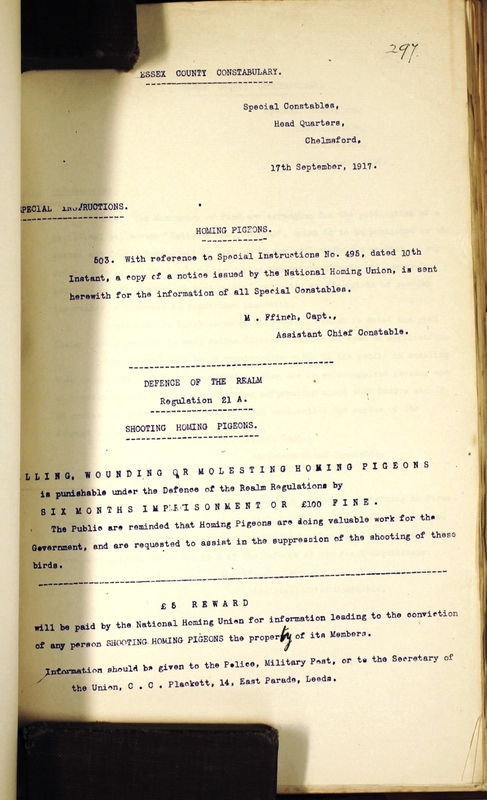 DORA (Defence Of The Realm Act 1914 Regulation 21 A) warned you that the killing, wounding or molesting of homing pigeons was punishable by 6 months in prison or a £100 fine as 'these birds are doing valuable work for the Government'. What chance in the trudge across the shires. Weren't most pigeon lofts were well north of Watford ? 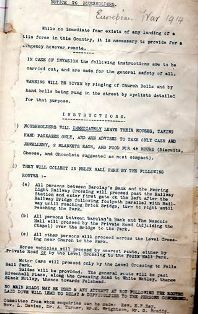 Transport - private carts, wagons, cycles and selected motorised transport that hadn't been claimed by the military was the best some of you could expect. 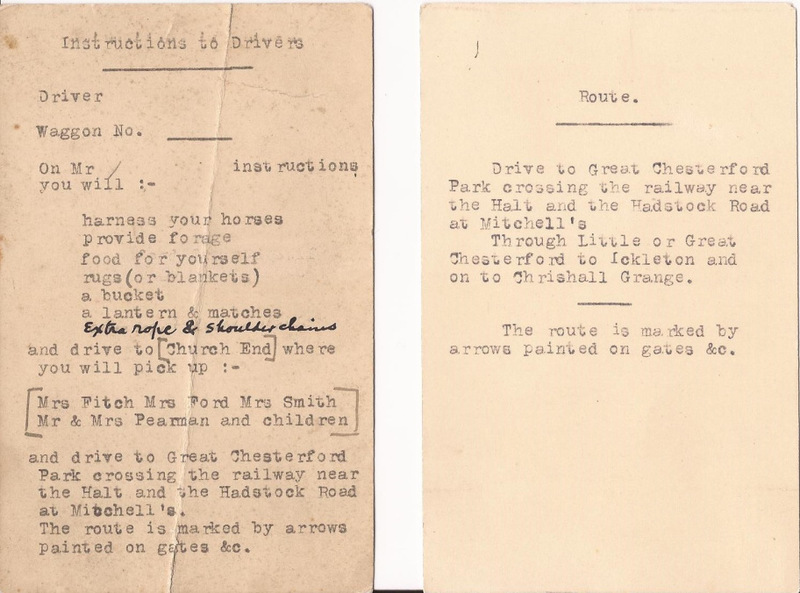 Messages and direction-guiding would be done by cycle and arrows painted on gates, fences etc. A small group of wardens and special constables would be posted at important crossroads. All road signs would have been removed. Minimal panic might be achieved if the public were convinced that food, water and safety would be available for the journey to Oxfordshire. 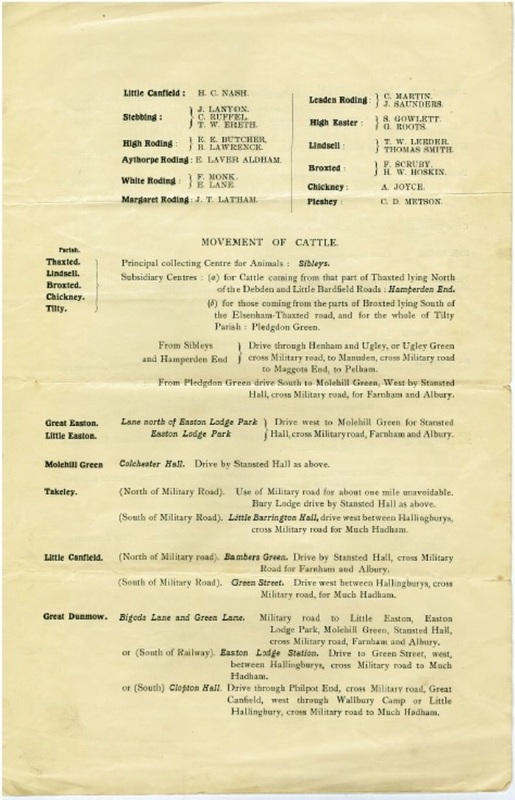 Civil evacuation camps would be erected at Audley End, Quendon Hall, Hassobury Park (near Farnham), Wood Hall, and Lofts Hall Park. This trek was expected to take 4-5 days where women and children were expected walk about 10 miles each day. Something wrong with the estimates here if mothers and children were expected to make that journey of 100 miles ! 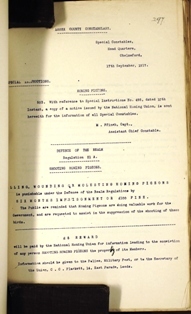 The Records Office files at Chelmsford contain a brief mention about farmers not being able to use lights at night for fear that a passing zeppelin might choose it as a target. Conversely there is large amount of instructions, discussions, warnings etc about the designs of lights that vehicles were to display. It borders on the Teutonic appetite for minutiae. All to help on unlit roads, a navy vehicle displaying one design to get to Norfolk and a following army vehicle to Harwich with another. Committee members were allocated yet another. There was a total of 23 designated routes (see evac 01) out of Essex westwards through Hertfordshire. Henham was on Route 6 (coinciding with much of Route 7) which would have passed from the Thaxted Road junction with Chickney Road, through Hamperden End, continued into Henham, down Hall Road to Old Mead, over Elsenham level crossing, taken the road to Orford House at Ugley, onwards to Manuden and entered Hertfordshire through Stocking Pelham. Now it would continue through Furneaux Pelham, Little Hormead, Buntingford, Cottered, Clothall, Baldock and leave that county via Stotfold. Those villages in bold type were designated rest stations. Navigating that route through narrow twisting lanes with no signposts to guide you could create chaos. In the age of analogue watches thank goodness some would have remembered their Boy Scout orienteering. First hold the watch flat on its back, point the hour hand at the sun. Now imagine an angle formed by the hour hand and a line from the 12 o'clock position to the centre of the watch. 'Draw' an imaginary line bisecting that angle. That line indicates south in the Northern Hemisphere. If it was summertime with daylight saving time, then create the angle from the one o'clock position instead of the 12 o'clock position. Alternatively examine the tree trunks where you'd find moss on the northern side. Don't throw grandad's watch away, you might just need it one day when your android fails. Alternatively risk asking a local villager. County assistance. Not surprisingly the 'nimbly' viewpoint was very loud. 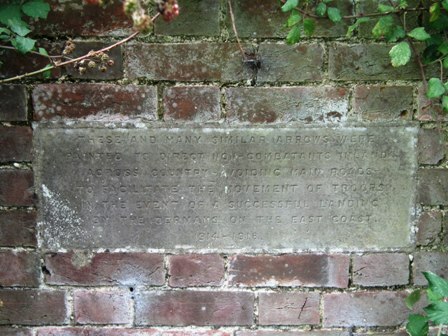 The Cambridge committee said that it was impossible to make provisions en route from Essex to Royston for the thousands of people passing through the county. 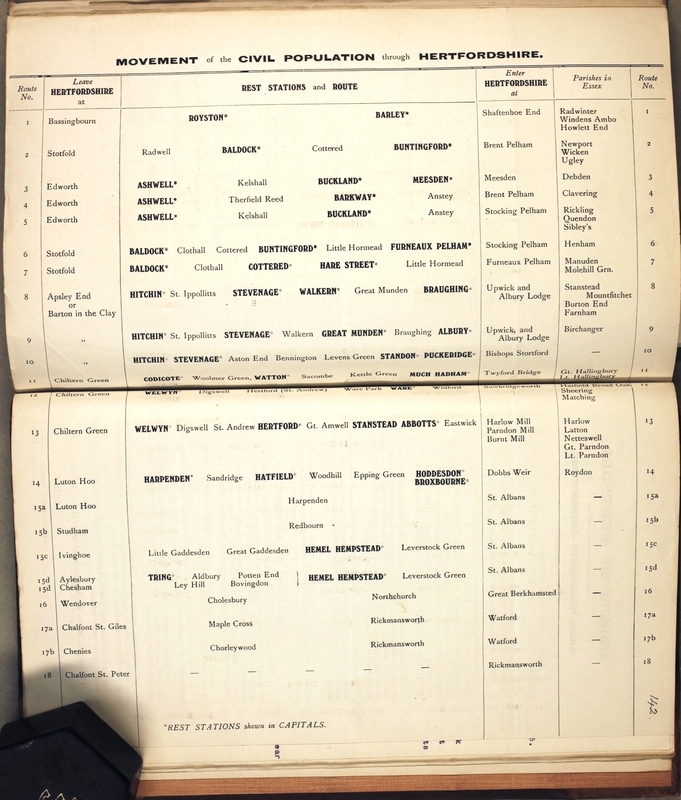 Hertfordshire said likewise and goodness knows what Oxfordshire said since they would have to accept Essex refugees being billeted in their homes. Who was going to supply the food ? Somebody asked how much bread could be supplied en route to the refugees as village bakers would be unable to meet the demand. This would depend upon the millers mainly located in London. When they were officially asked they cautiously replied that 'well, as there's a war on and there's a sudden emergency, well, it would be very difficult to tell'. Then another asked how the population, restricted to carrying a lightweight load, could travel across country carrying such a mountain of bread. Suddenly 'All change'. 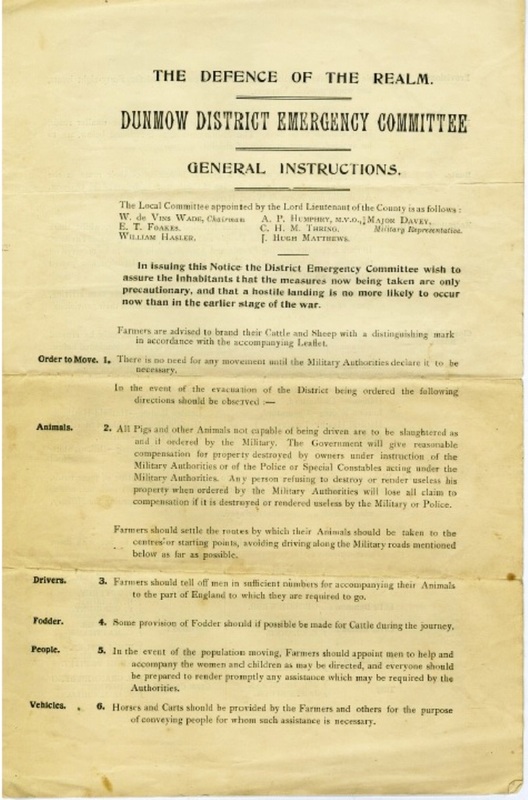 The important Paper K (see evac 14 & evac 15) issued by the Home Office and dated 16th Aug. 1916 cancelled existing civil evacuation plans. 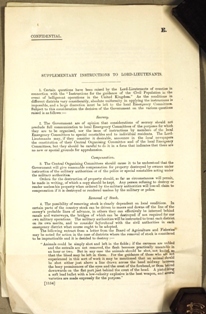 Without explanation the Army Council announced that 'in the event of a hostile landing, there was no need to remove or destroy foodstuffs and livestock, and that it would not be desirable that the civil population should be removed from areas occupied or likely to be occupied by the enemy' and that all evacuation plans should be cancelled. Obviously they felt that a well-meaning but probably bombastic 'Captain Mannering' posed more of a hindrance than a help. The army wanted the civil population to remain in their homes except in the face of heavy bombardment but any 'unavoidable movement of civilians would still need to be controlled by the emergency committees'. Also cancelled was the scheduling of property for destruction. 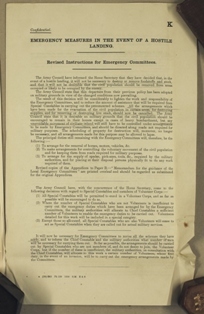 The role of the emergency committees was reduced to arranging the removal of horses, motors and vehicles; controlling voluntary movement of the civil population and keeping them from military roads; and arranging the supply of tools as required by the military. 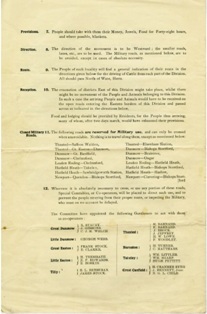 Committees were now to revise all their schemes. 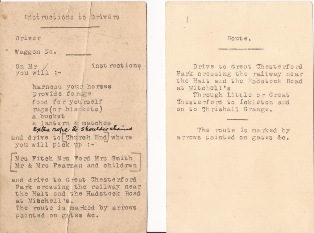 Refugees originating from or transitting Henham had to avoid using the old A11 Stortford-Newport route, a designated military road. They would have been forced to use Sparley Lane, into Widdington and then northwards through Walegraves to join the Debden-Newport road. A possible alternative would have been North Hall Road close to the junction with the Stortford-Newport road then across fields into Newport to join Route 7. Imagine attempting that at night. It's winter in snow. No ringing of the church bells allowed, it might cause panic. Instead, wardens are running down the road shouting 'evacuate, evacuate,'. One last look at your invalid parents wrapped in greatcoats in their bed; soup bubbling on the stove fuelled by the last sack of logs - their last meal; two pails of water you've just drawn from the garden well. Will they still be alive by the time you hope to reach Oxfordshire ? Slam the front door, one last look back. 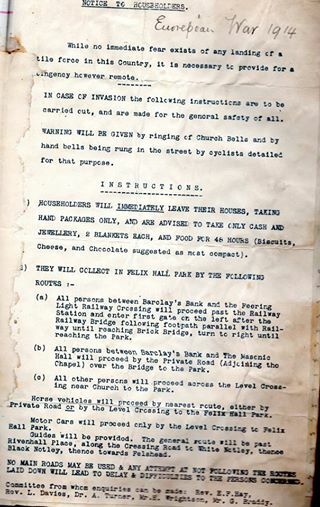 No torches allowed, carrying your rations, plus those of your family and even holding some of your children. Brilliant moonlight on the church spire. That will be the last natural light to shine on your children until you reach Widdington. They're saying that the bottom of Sparley Lane is already a muddy quagmire and people are discarding prams after less than a mile. The unfettered and able are already overtaking you. The enemy may also be travelling faster than you. Meanwhile your father, husband, son or brother, resolute and defiant but fear and concern in his mind, might be miles away near the coast. He's trying with all his skill and strength to stave off the invading German army. His efforts just gains you enough time for your escape. What of his ? You may both be watching the same moon yet a world away from each other.